Caption slip reads: "Photographer: Monteverde. Date: 1958-04-17. Reporter: Thackrey. Assignment: Girl beaten. 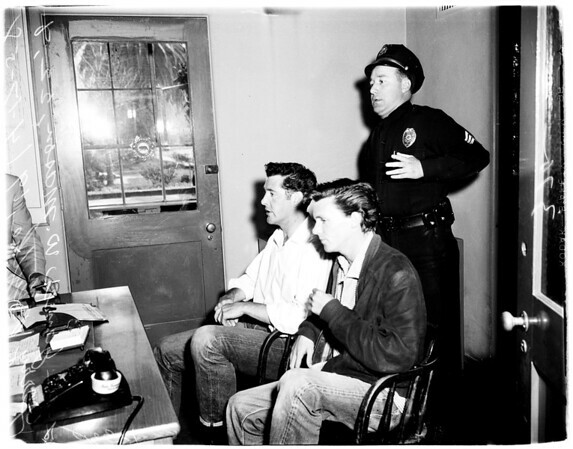 Left (nearest window) is James W. Mason, 22, and (right, nearest camera) is Jerry Blythe, 19, both of 1611 Knox street, San Fernando".